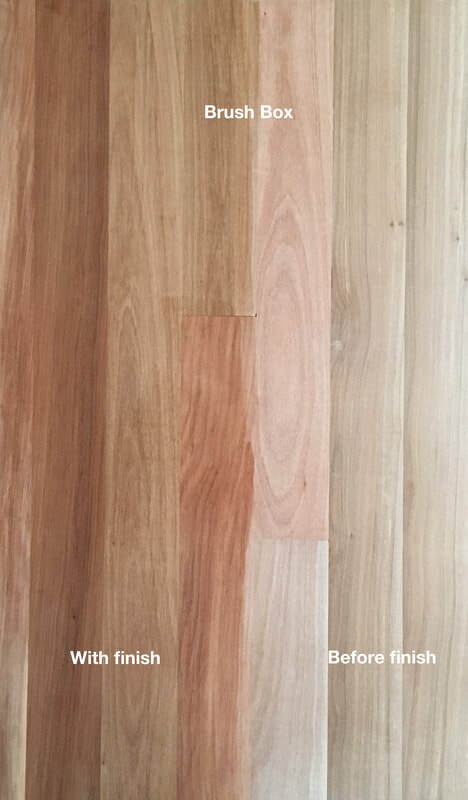 Australian Flooring & Lumber in the USA - Iconic Australian flooring: pre-finished and unfinished solid. CLICK ON PHOTOS FOR ENLARGEMENT WITH FLOORING NAME. ​SCROLL DOWN FOR "QUICK FACTS". 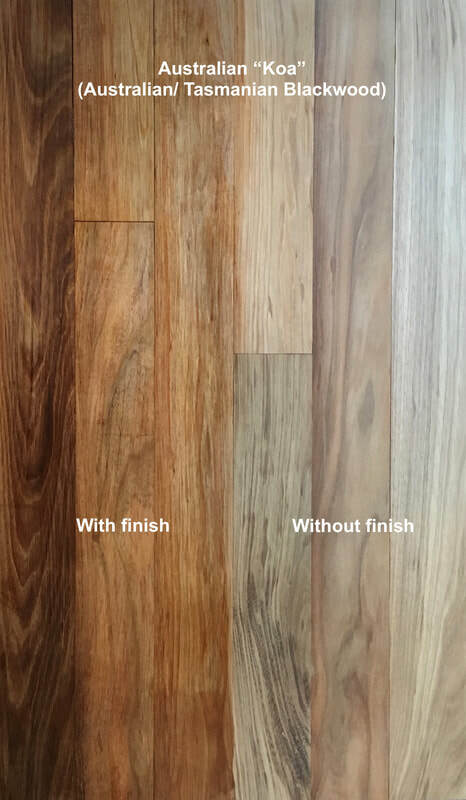 QUICK FACTS about these flooring species. 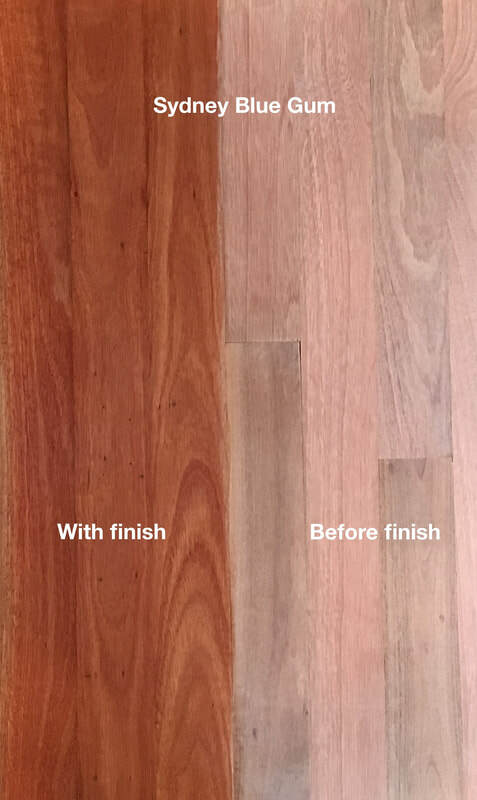 Photos: with finish and without finish. Click images for enlargement. Blue text indicates links to individual pages about each species. ~ Golden to brown colors with characteristic dark brown knots throughout. 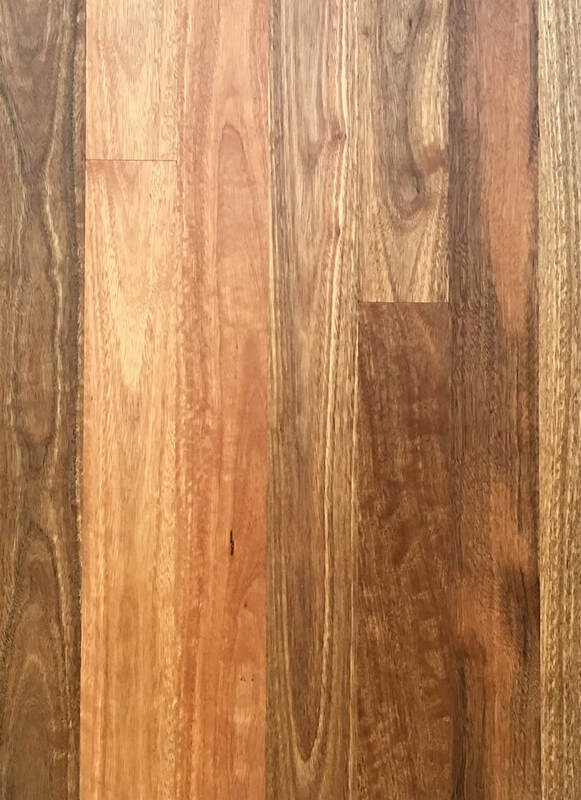 A popular favorite in the USA and a beloved flooring found in homes throughout NSW and QLD Australia. 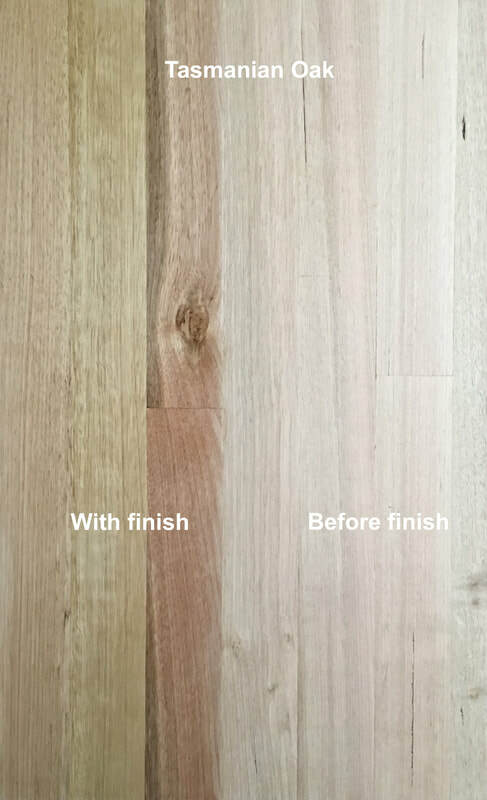 ~ Available in varying widths of solid unfinished and pre-finished, and engineered pre-finished. 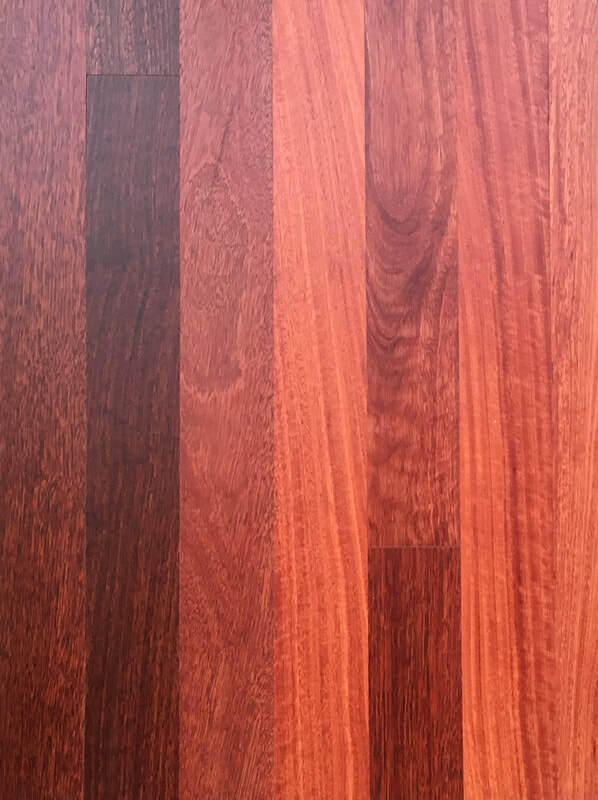 ~ A high end flooring that is increasingly popular. Growing in a relatively small geographical distribution area in southeastern Australia, our Australian Koa has all the appealing attributes one can expect: beautiful color, beautiful grain. 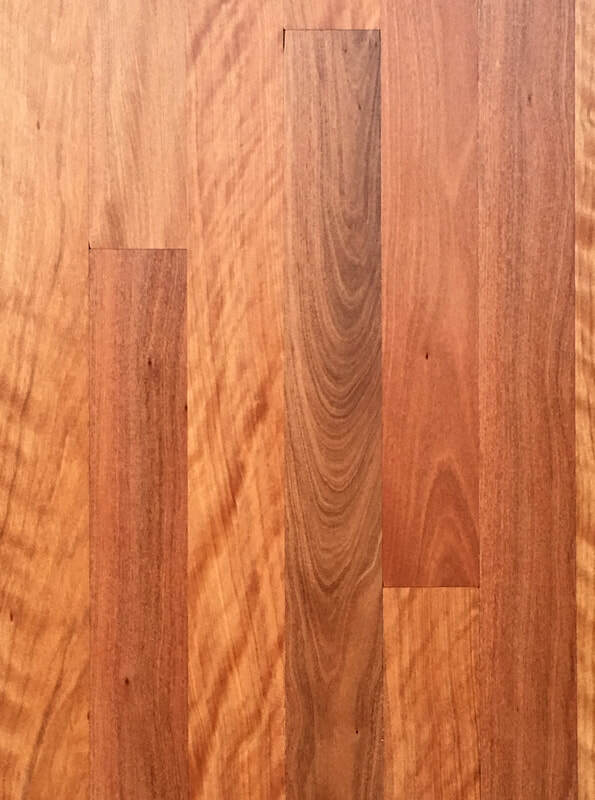 Its color and grain make it a truly a great alternative to Hawai'ian Koa. 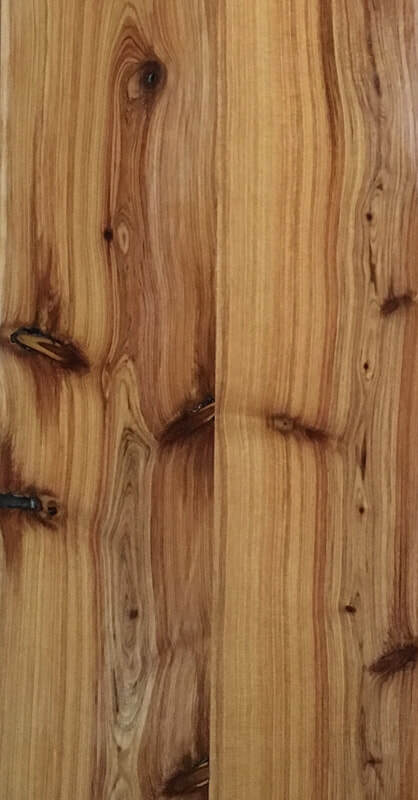 ~ Available as 3-1/4" x 3/4" unfinished solid. 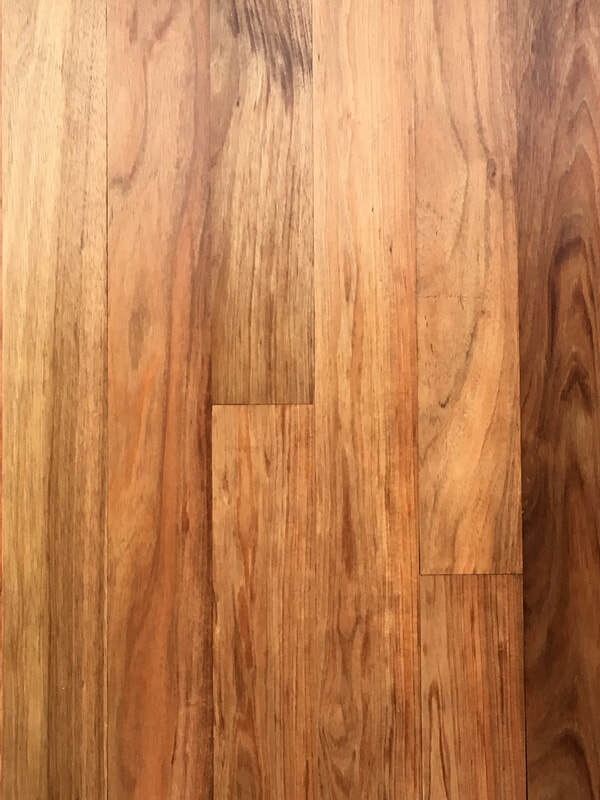 ~ Another high end flooring which is treasured in Australia for its honey colors and sophisticated grain. It is prized for the elegance it conveys. 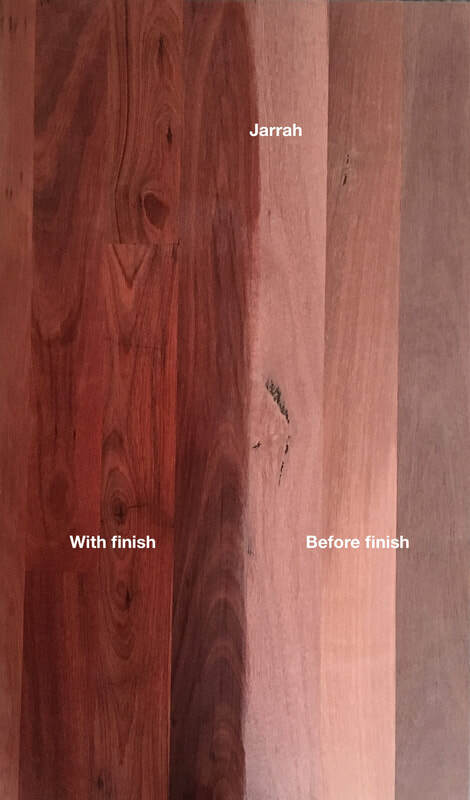 ~ Now a very rare wood, Jarrah has a fabled history as Australia's ultimate beauty. 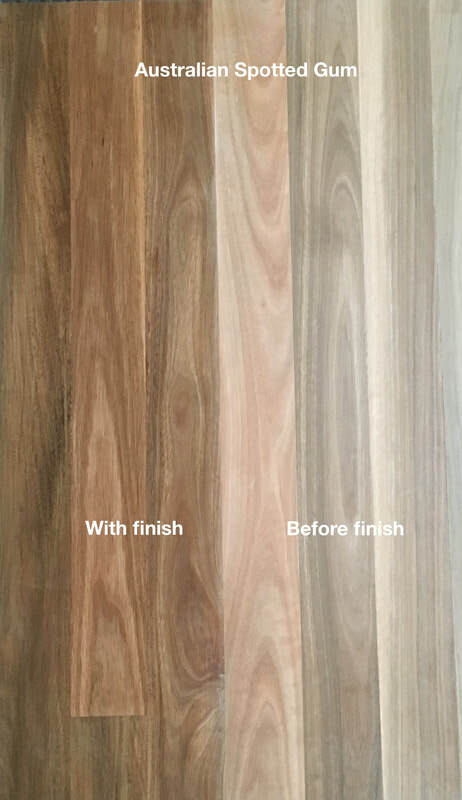 Definitely a high end flooring that will make your project one of a kind because it will soon be impossible to source this wood ever again. ~ More readily available than Jarrah and a very convincing substitute for it, Red Iron Bark is both beautiful and tough: It is the hardest of the woods in our collection. Some people prize it for its more subtle reds and people who use it love it! 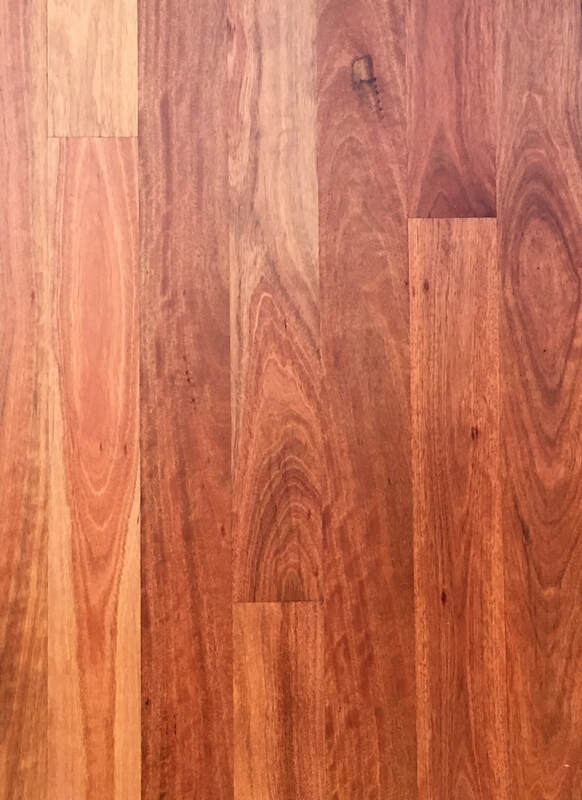 ~ A true "DinkeyDie" Aussie, Spotted Gum is an iconic favorite for its varied brown and cream colors, and beautiful natural mix of cathedral grain and fiddle back grain. 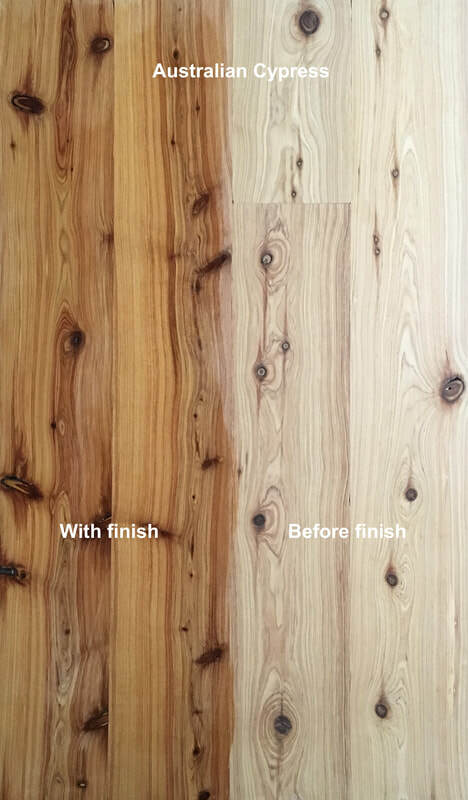 ~ Available as 3-1/4" x 3/4" unfinished solid and various widths of engineered pre-finished. 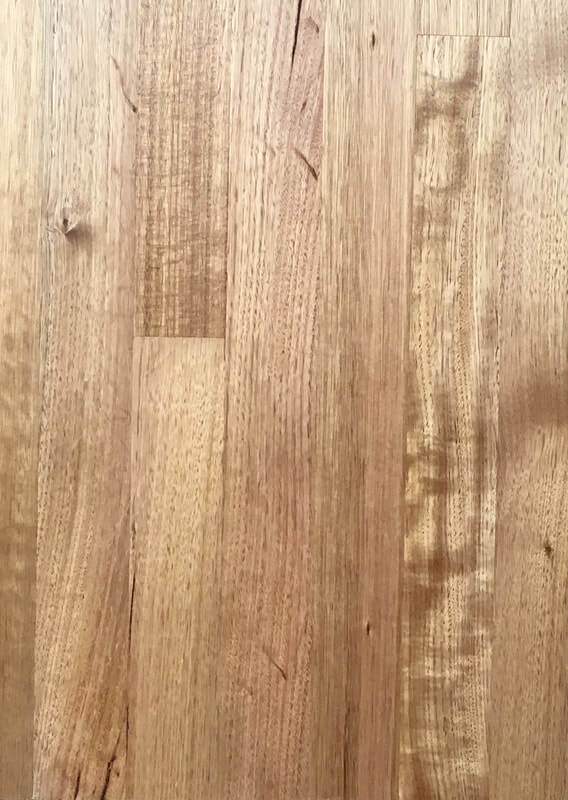 ​~ A truly beloved princess of flooring. 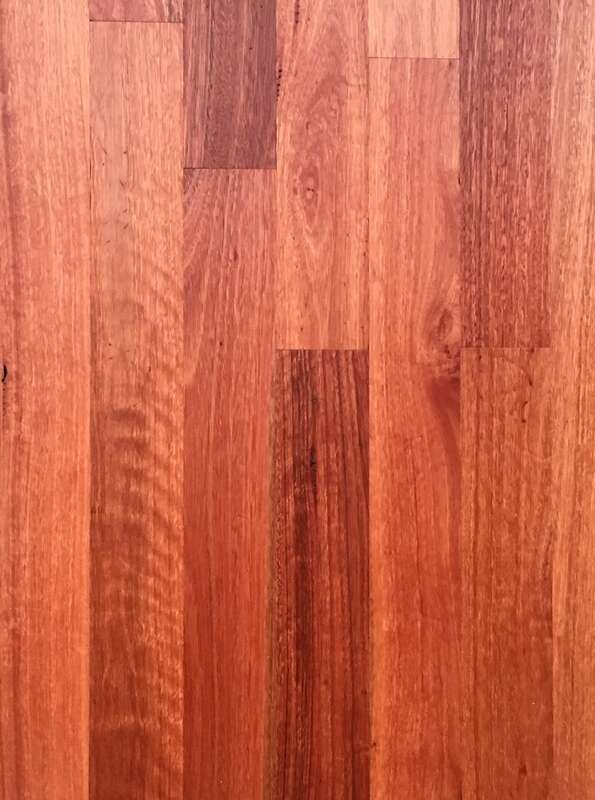 Used traditionally and currently in and around Sydney and regional area of NSW, this wood's beautiful even grain and warm rosy colors have made grown its reputation and appeal in the U.S.
~ This wood is definitely a combination of beauty and smarts: it has a lovely golden-blonde color and even cathedral grain with minimal figuration. 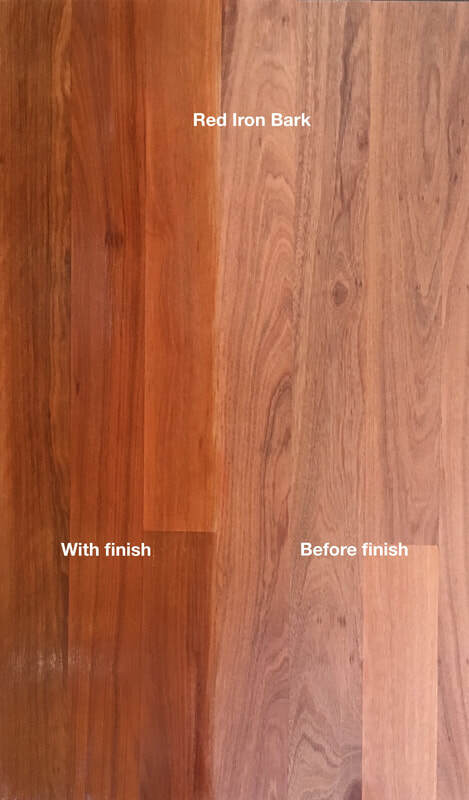 It is a favorite in Australia and has become a go-to flooring in the U.S. for people wanting a lighter colored wood that conveys an unobtrusive elegance. We are always adjusting our flooring inventory and species. Contact us to check what is currently available.